This non-profit 501c3 organization was formed to prevent dogs from entering a shelter. Our mission is to assist hospice patients/families in their effort to place their dog in a loving home. In this, we hope that they gain peace of mind and comfort knowing they have taken care of their pet. We have an age requirement of 21 years of age or older to adopt or foster one of our dogs. We give preference to local and in state adopters. If we believe it is not in the best interest of our dogs, we have sole discretion to deny any adoption. Looking Fur Love Dog Rescue is a non-profit no-kill corporation. Amazon Smile let’s Amazon customers shop like normal on Amazon, except that if you start your shopping at Smile.Amazon.com, Amazon will automatically donate 1/2% of your purchase price to the charity of your choice! Simply visit Smile.Amazon.com, ensure you’re logged in using your normal Amazon username & password, then search for & select “Looking Fur Love Dog Rescue” as your charity. Remember to start your Amazon shopping from Smile.Amazon.com in the future (Amazon’s donations to LFLDR only occur from purchases that are made through smile.amazon.com). 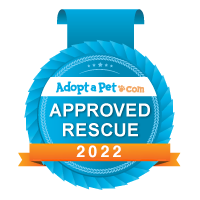 © 2018 Looking Fur Love Dog Rescue, All Rights Reserved.